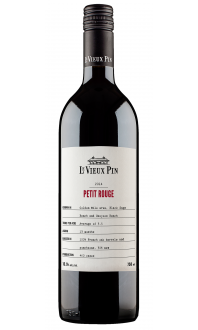 Sorry, Le Vieux Pin does not ship wine to United States. Petit Blanc is a wine that is lithe but not light, fun, and free of heavy handed winemaking. No new oak, no malolactic fermentation, no battonage, no nonsense. 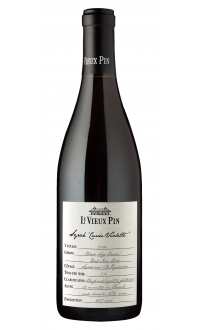 This is a wine that hits above its weight and delivers a strong quality to price ratio; a wine that you can readily open on a weeknight and pair with a variety of food - without putting a dent in your wallet. The 2015 vintage of this unique blend is dominated by Sauvignon Blanc and Pinot Gris. A few other aromatic varieties are in the blend, making the whole greater than the sum of its parts. Stone and citrus fruit elements are everywhere: apricot, peach, yellow plums, and melon abound on both the nose and the palate, while maintaining a citrus core throughout. The most attractive quality of the 2015 Petit Blanc is the phenomenal balance between the round and crisp qualities. Entry on the palate is round while the finish is crisp and refreshing. Food Pairings: Petit Blanc is very versatile with virtually endless pairing options. We enjoy it with an endive salad on a Tuesday night, with a fruit and cheese platter for a sunny Sunday brunch, or with orange roughy, quinoa, and bacon wrapped scallops for a delicious Thursday evening. Definitely reflective of the warm 2015 vintage. Ripe orchard fruit with width on the palate. 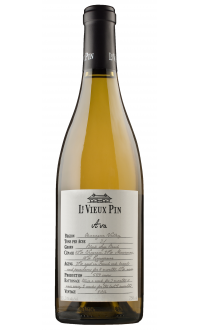 Mostly sauvignon blanc and pinot gris with splashes of chardonnay, muscat and viognier makes this aromatic white round with white peach, yellow apple, gooseberry and yellow plum that gets more linear in the finish. Look for a touch of tangy grapefruit and fine spice to round out your tasting. Pair this with chicken salads or creamy pasta dishes. Super value.